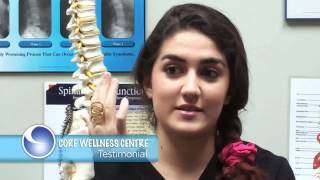 Here is just a small sampling of what our patients say about the chiropractic care they receive at Core Wellness Centre. 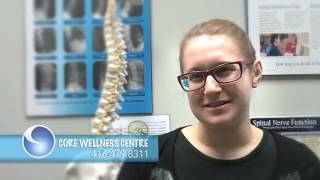 Dr. Kris has a great experience in a variety of modalities supporting Chiropractic Care. Here he shows the making of Orthotics. 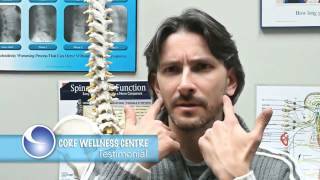 Why should I go to the chiropractor? 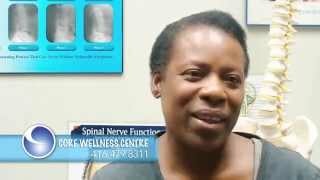 Chiropractic has helped millions of people to recover from illnesses, diseases and disabilities. People with all kinds of problems such as colds and infections, pre-menstrual syndrome, back pain, arthritis, insomnia, stress, vision problems, headaches, allergies, colic and more… can find solutions by getting appropriate chiropractic treatment. No matter what disease is concerned, you can enjoy a healthy spine. This is so important for your general health as it is proper nutrition. Remember that a healthy spine can improve your quality of life. Chiropractic benefits are much more than just removing the pain. Chiropractic is the third important health treatment worldwide (after conventional medicine and dentists). Traditional medicine is works very well, especially in an emergency, but does not encompass well-being and vitality. In general, the least medicines and surgery a person has, the healthier they are. Chiropractic is a natural treatment and is the least intrusive, medicines second if there is no improvement and surgery as a last resort. Chiropractic is the logical choice, and has more than 110 years experience because it gives results. Chiropractic gives different benefits, depending on the goals that each who have for their health. What are the goals of your health? Each of these goals is a step that is given to a better level of health. 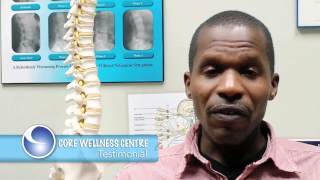 We welcome you to discover the benefits of chiropractic care.